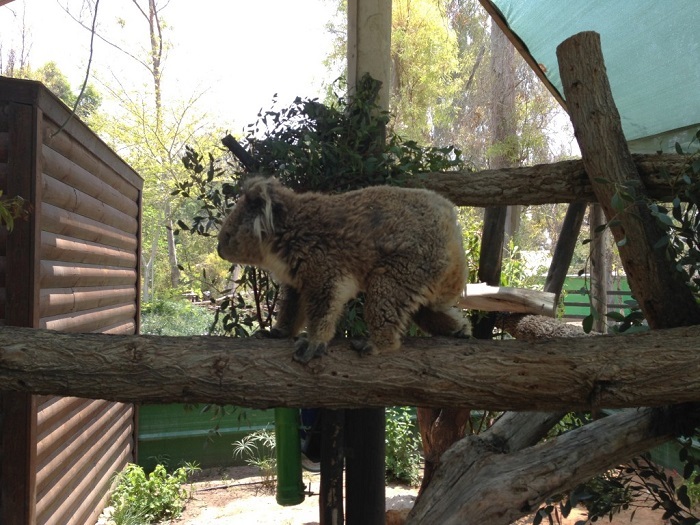 Gan Garoo is an Australian open-air zoo in the valley of springs in the north of Israel. 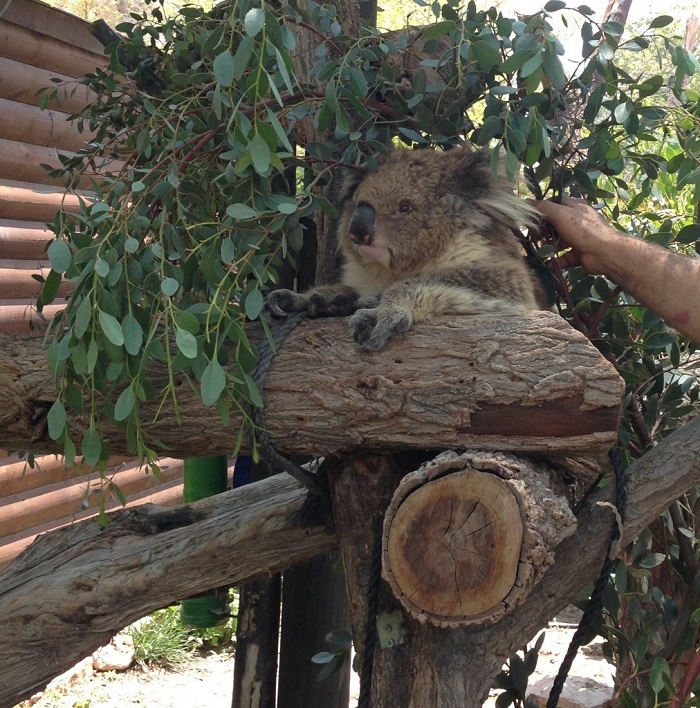 The zoo has a variety of animals but the jewel in the crown of Gan Garoo is the Kangaroos petting area. 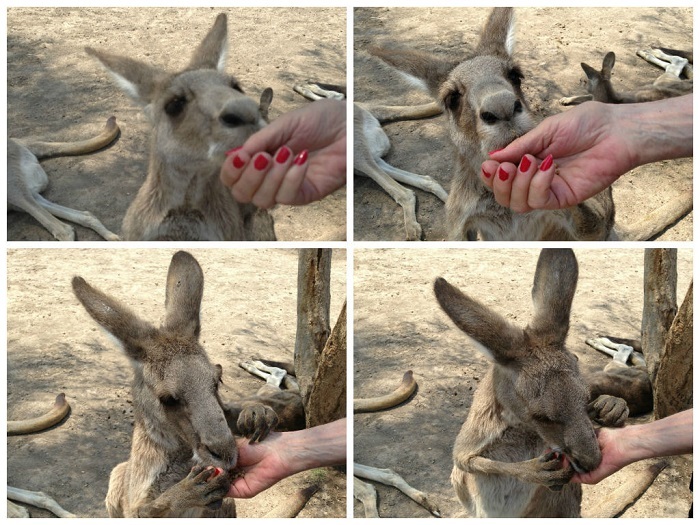 An open garden in which the Kangaroos roam freely and can be hand-fed and touched. 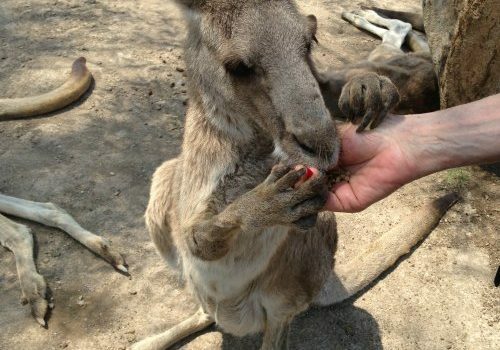 Automatic vending machines allows you to buy dry food for the Kangaroos. 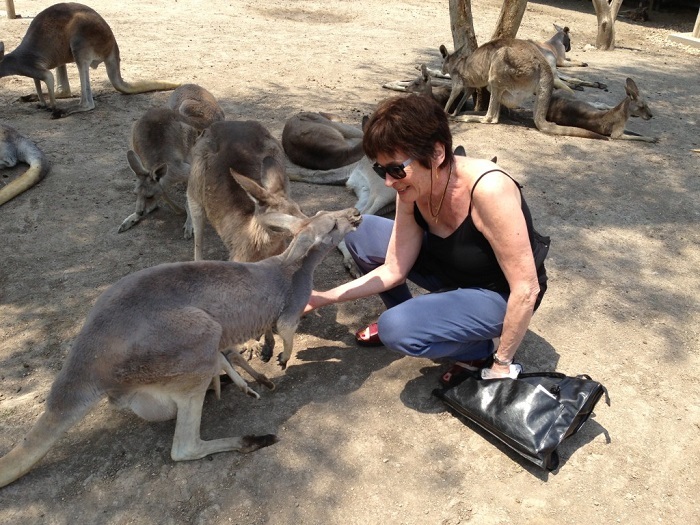 The Kangaroos know the ‘trick’ and will come looking for the food in your hands gently. Yep, they will feed straight from your hands, and It tickles and is also messy….you may want to bring some wet wipes but there are also sinks to wash hands. Make sure you bring change for the vending you can also get some change at the cashier before entering. 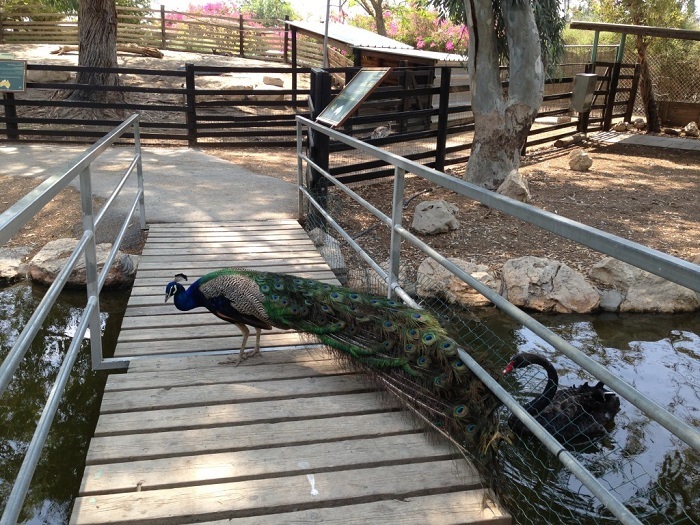 There are many animals in the park, some in cages and some are free, such as this peacock that walked with us. 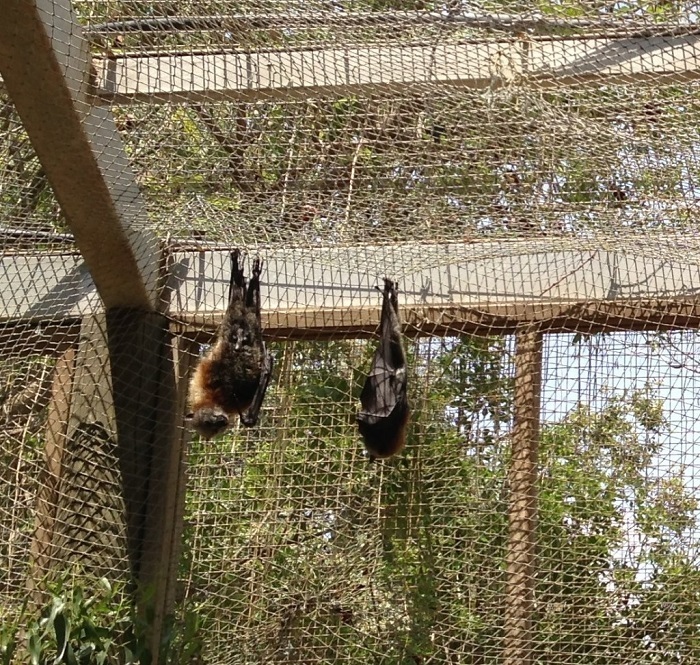 Of course there are also Kuala bears. 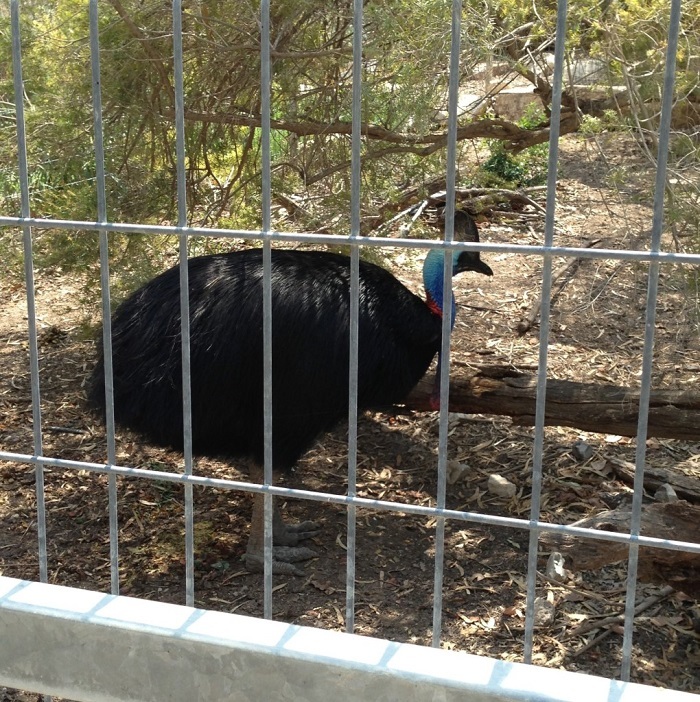 The best time to visit the park is during the winter or early sprint/late autumn, it gets very warm in the area so come early during the day. 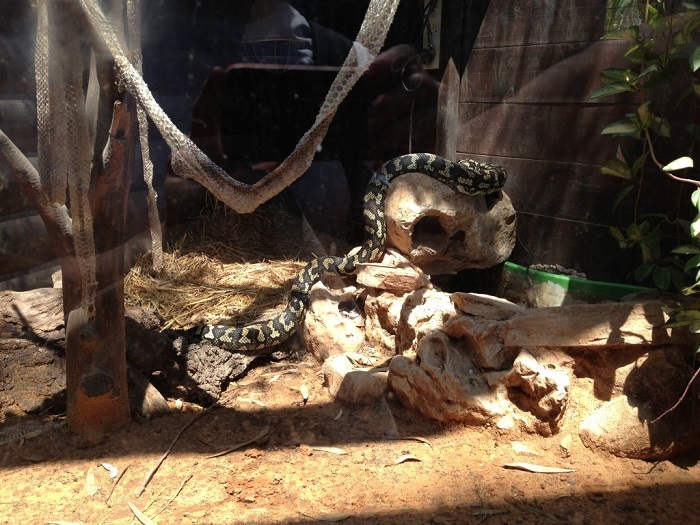 They also offer night tours during public holidays.